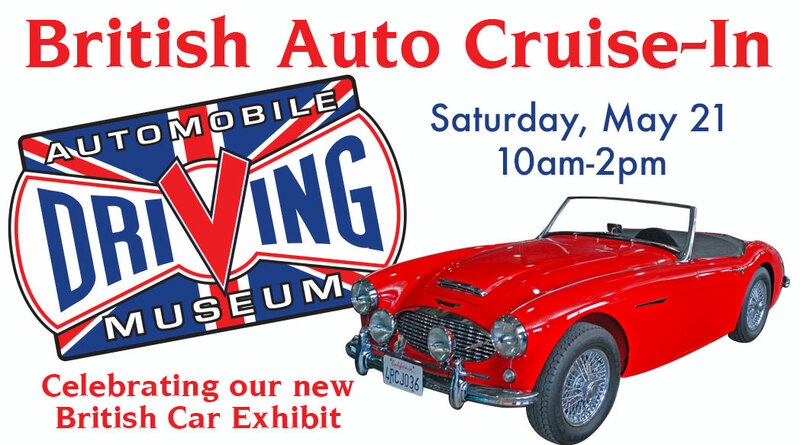 Bring your vintage British car to the Automobile Driving Museum (ADM) on May 21 for ADM’s British Car Cruise-In. This is a chance to: show off your British car; meet other anglophile car collectors; and, enjoy ADM’s new exhibit of British Cars in its new permanent collections. Please contact Adam if you plan to attend.